Are you looking for a great product to help promote your business and brand? 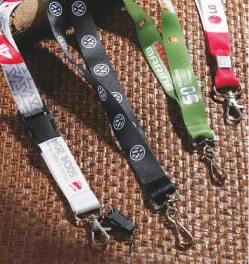 Try a promotional lanyard from EzyLanyards. Bright and bold, our range of lanyards, wristbands, short straps and luggage tags is sure to help your brand stand out amongst your competitors. Whether you need a lanyard for your next corporate function, or wish to use a luggage tag as a promotional merchandise item for your customers travelling the world, we’ve got a range of products to suit your requirements. All our promotional lanyards, wristbands, short straps and luggage tags are customisable giving you the right product for your business needs. Call Us today for a quote or simple browse our user-friendly website. Lanyards are a great promotional tool as they are practical and are something that will be used more than just once – they can be used over and over providing you with multiple marketing opportunities that you may not normally receive. Luggage tags give you the benefit of promoting your company to an interstate or international audience and short straps are a great every day way of getting your company name out there. In other words greatly expanding your brands’ reach. These products are long lasting and long wearing and with such a range of styles, colours and accessories to choose from, your brand is going to stand out amongst your competitors. Bootlace Printed – Bootlace lanyards are a very popular product because they’re thin, light, and can be discreet. They come in two different sizes and are relatively inexpensive. They come with a variety of attachment options and can be screen printed with your logo. Nylon – Nylon lanyards are durable, maintenance-free, and come in vivid colours and designs. That makes them stand out and catch a prospective customer’s attention immediately. 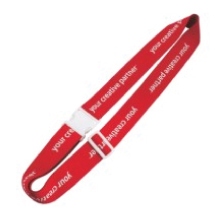 This lanyard is available in three sizes so you have considerable amount of room to incorporate your brand logo. 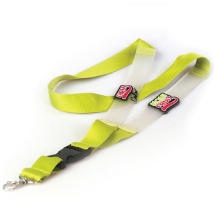 Polyester Ribbed – These bright yet casual lanyards are excellent for outdoor worksites. They’re vividly coloured and immediately catch the eye, which is great for on-site employees. 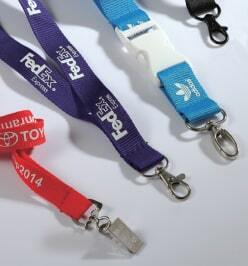 Polyester lanyards are the most popular type of promotional lanyard due to cost and versatility. Polyester Satin – This lanyard as a mix of polyester and satin to give it a luxurious appearance. The satin is placed in the middle and on top of the polyester belt. It’s often vividly coloured and has a sheen that catches attention immediately. 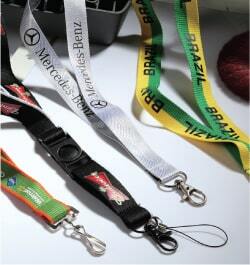 Sublimation – Sublimation lanyards are great for logos with a gradient. They can be full-colour printed on both sides and look great with any logo. 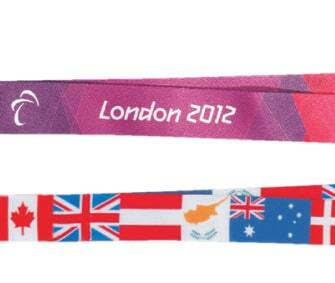 The material is satin which adds to the superb look of this immensely popular lanyard. Branded lanyards aren’t just for customers though. 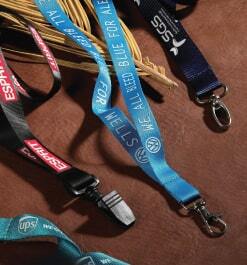 Custom Printed lanyards such as our Faux Leather Lanyard or Satin Lanyard are great choices for around the office. Your staff members won’t lose their keys or security passes, and while they are out of the office, these lanyards provide extra marketing support to your brand. Custom Luggage Straps are not only a great way to get your business name out there, but they are a handy travel item that will help your customers remember who you are. They are a great way to help your customers and clients easily identify their bag in the airport or train station, and are always well-received. 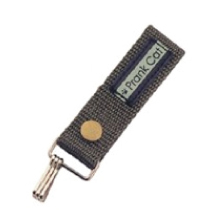 Custom luggage strap can not only be customised with your logo but also with different available attachments. 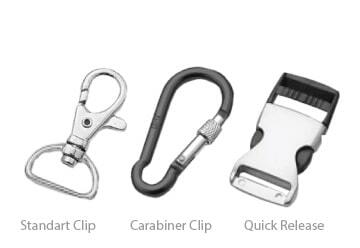 Not only do you have availability of the standard clip you can also opt to use the combination lock for added security. Also there is the option of the name tag which makes it easier for the bag to be identified and adds value to the luggage strap in the eyes of the luggage straps recipient. 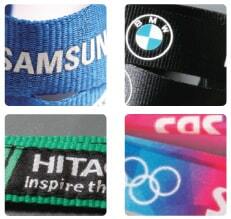 Wristbands are a great way to get your brand’s message across. Perfect for music, sporting or community events, and great for kids or adults, our range of promotional wristbands are bright and come in a range of styles to suit your brand. Our Glow in the Dark wristband is perfect for music events, while the Debossed Wristband is a great idea for charity or community fundraisers. 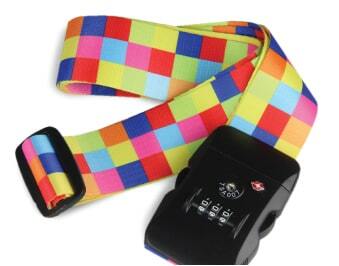 The Multi-coloured Wristband is a good option for kid’s concerts and fundraisers and the USB Wristband is perfect for educational institutions or for businesses looking for a different way to promote their services at a corporate function. 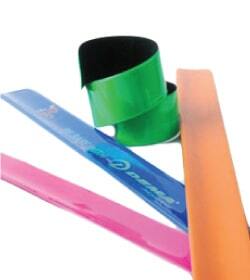 Ezylanyard’s range of promotional and branded wristbands are certain to help your brand stand out amongst the rest. 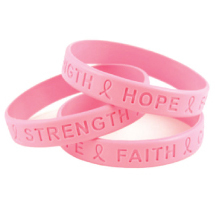 Visibility – Printed wristbands are actually very visible. Your hands are some of the most exposed parts of your body and they’re almost ways in motion when you converse with people. A wristband will immediately catch attention and curiosity and that’s a great thing. It’ll help you initiate the conversation and discuss the charity with your friends, family, and associates. 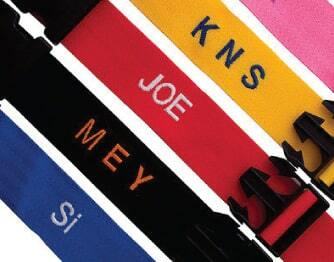 Branding Option – Custom wristbands are a very versatile promotional product. They are available in different options depending on your desired effect. 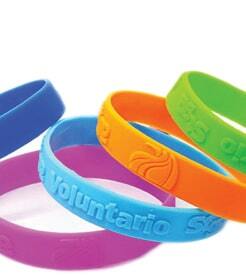 Whether it is just a plain silicone wristband with a one colour print or a debased wristband we have you covered. 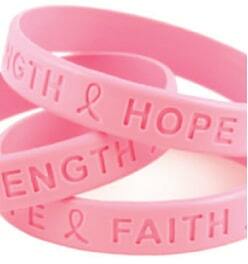 We also offer glow in the dark wristbands for added effect. 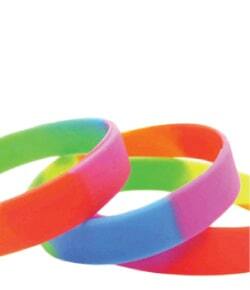 Affordability – Silicone wristbands are very affordable promotional products option. For events where you have any attendee that you want to outfit in a custom promotional item wristband can be very inexpensive. They can easily fit into any budget and ordering them is hassle-free. 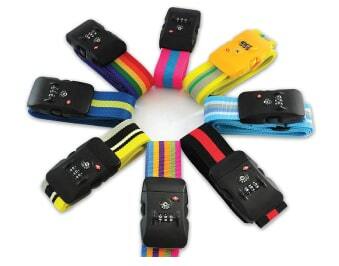 All you need to do is choose the design you like, select the type and number of bands, and place the order. With a variety of customisable and custom-made lanyards, short straps, wristbands and luggage straps to help market your brand, Ezy Lanyards is your one stop shop for all promotional lanyards & ID accessories. Whether you’re holding a special event or conference or just looking for a simple promotional merchandise item then look no further! There are some great reasons to use items such as lanyards, wristbands, short straps and luggage straps as a promotional tool. They are a constant advertising source in that they often won’t just be used once. They are also functional so customers and clients get a lot more out of them and connect to your brand unlike television or radio advertising where the brand is soon forgotten. With a variety of customisable and custom-made lanyards, short straps, wristbands and luggage straps to help market your brand, Ezy Lanyards is your one stop shop for all promotional lanyards. Whether you’re holding a special event or conference or just looking for a simple promotional merchandise item then look no further! Our range includes imprinted custom-made lanyards, short straps, wristbands and luggage straps that are perfect for trade-shows, conventions and company functions. They are a great idea if you need a small promotional merchandise item to sell or giveaway to your customers to help promote your brand. If you are looking for more than just ID accessories then be sure to checkout our other website. We offer a full range of promotional products through our EzyPromos website. Simply visit www.ezypromos.com.au for more information or click on one of the links below to one of our many custom corporate products websites. Check out our other websites for more products,we have a range of different products for you to choose from. From Apparels, Stress Balls, IT Products, USB, Lanyards & so much more.